This purchase is entirely blamed on Instagram, I was casually scrolling through my feed when I saw a beautiful photo on the Tarte account and then I read that it was available from QVC for a limited time..so of course I jumped online! 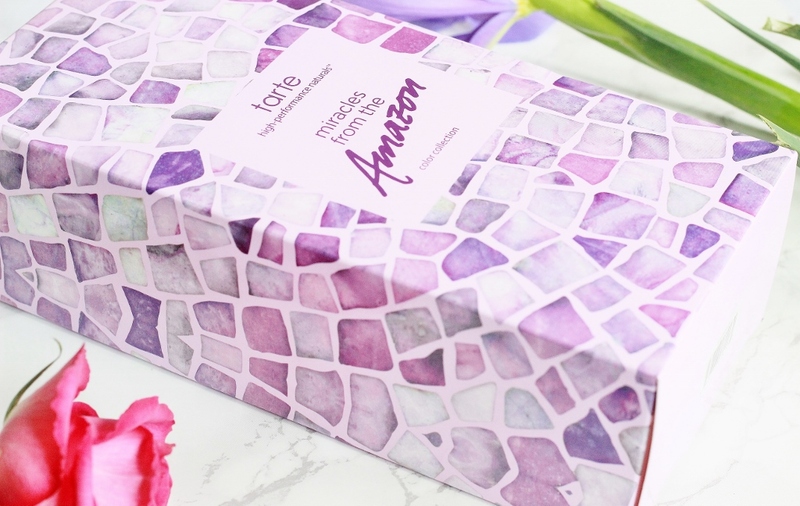 I feel like QVC beauty is a neglected source for many UK makeup lovers - although I knew they stocked Tarte, I never really felt compelled to have a browse, but after this experience I’m pleased we have a reliable and not too pricey online site from which we can get our hands on the brand! 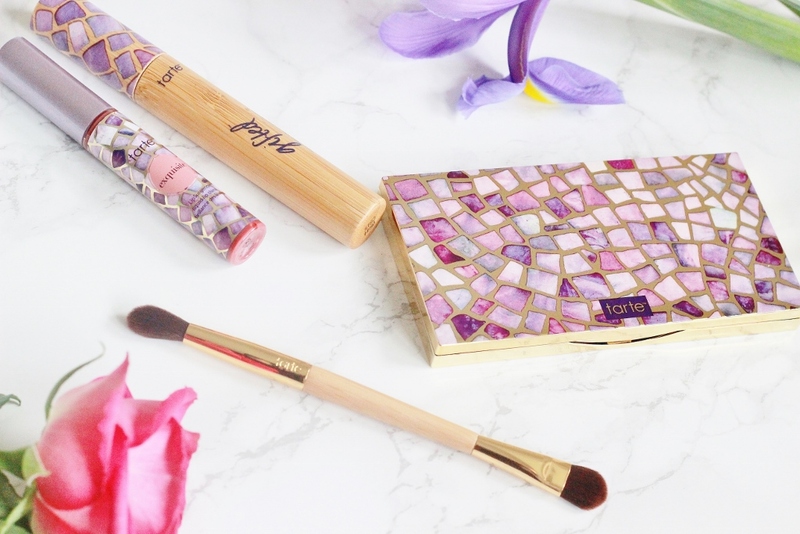 Tarte is a cruelty free brand which is a huge plus and it's ethical too. 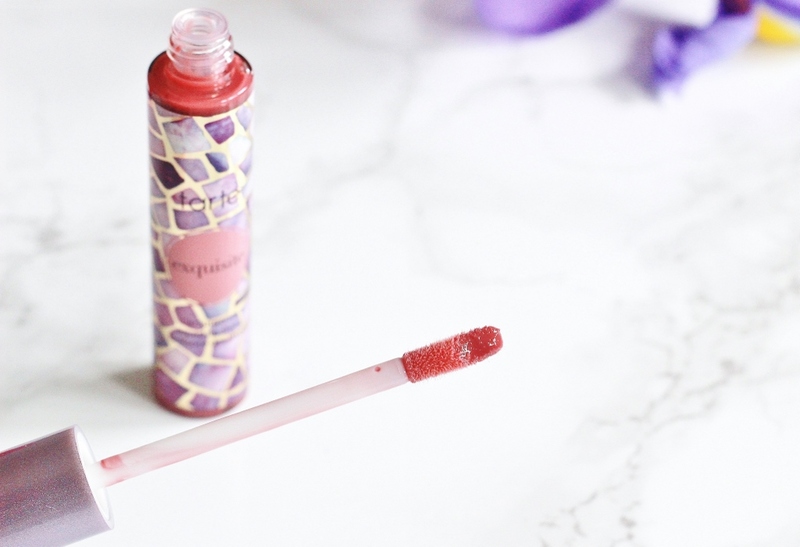 All Tarte products are formulated without parabens, mineral oil, sodium lauryl sulfate, phthalates and gluten and in general I’ve read many glowing reviews about the line. 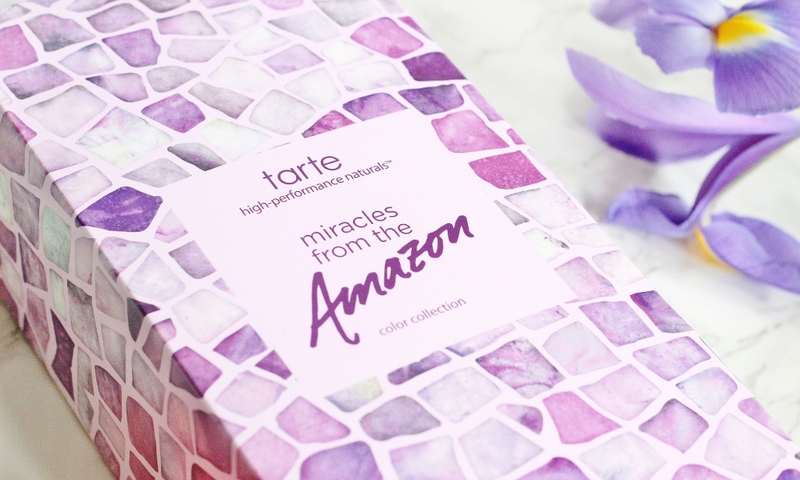 Before this purchase I owned two products from Tarte, a lip gloss and their Maracuja concealer, so I was very excited to pick up the Miracles from the Amazon 4 piece collection as it has a fantastic selection of things! Before we delve into the collection, lets take a moment to appreciate the beautiful packaging of the box. I really love it when a high-end brand makes the effort to be creative with packaging because lets face it, at the price of £34 you want to see something special. Technically this is a five piece collection, the first thing I pulled out of the box was a very generously sized makeup bag. I have a little bit of a thing for these bags, I don’t know what it is about them but I have a small collection which seems to be growing! 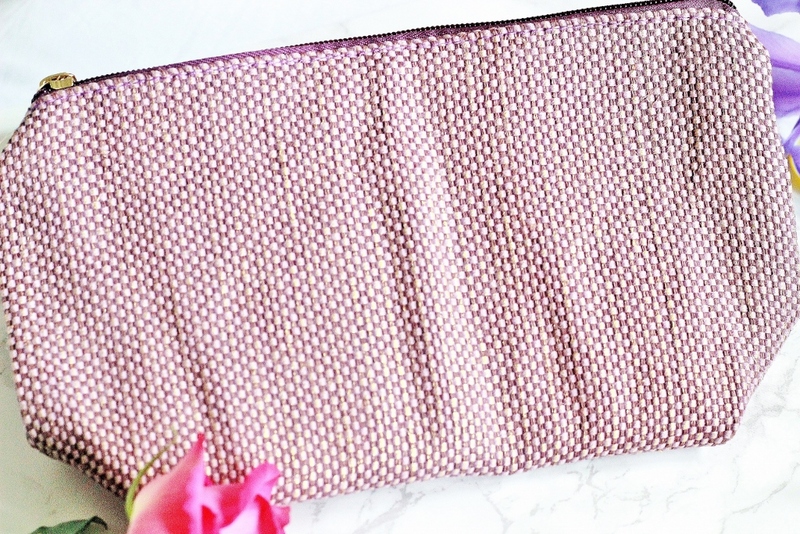 The bag is purple and gold and it’s made from a sort of woven material. The gold zip with the word Tarte on it is a nice touch and all in all it’s very handy. Lets start with the Tarte Gifted Mascara which retails for around £20 - such a bargain to get it in this set! I love the wooden packaging and I’m excited to see if it lives up the hype when I finish my current one. I can’t say too much about it yet but watch this space! The palette in this set is the main thing that caught my attention and can you blame me? Look at how beautiful it is *heart eyed emojis* The stunning mosaic, paved, marble effect laid on top of the slim gold packaging makes this the most divine looking palette I own. 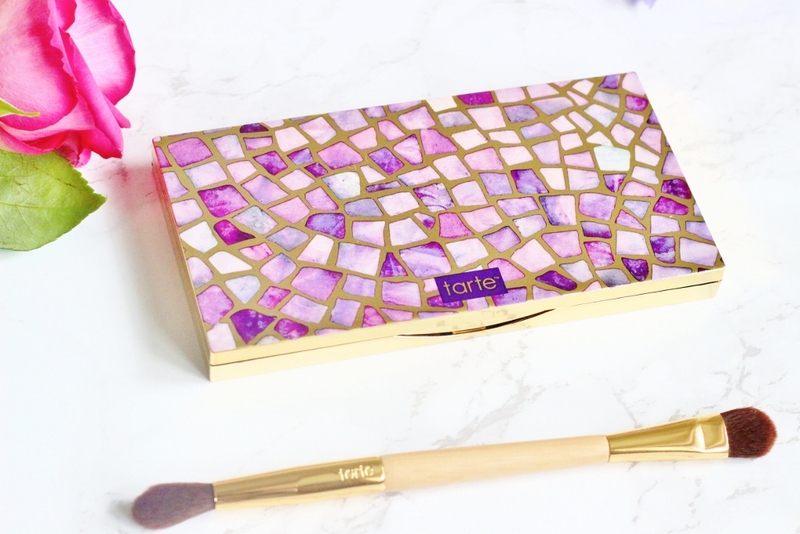 If there were prizes for packaging this palette would win one hands down - Tarte ya did great. So on to the actual contents of the palette, firstly the large mirror is always a bonus and you could pretty much do your whole face makeup using it if need be. Inside the palette there is a large sized blusher in the shade ‘talented’ which is a deep coral that can also be applied lightly. I’m impressed that there is 5.6g of products in the pan, a very generous amount. From the six eyeshadows, 4 are matte and 2 are shimmery. On the left side of the palette are all slightly more cool toned shades and on the right are the warmer tones. 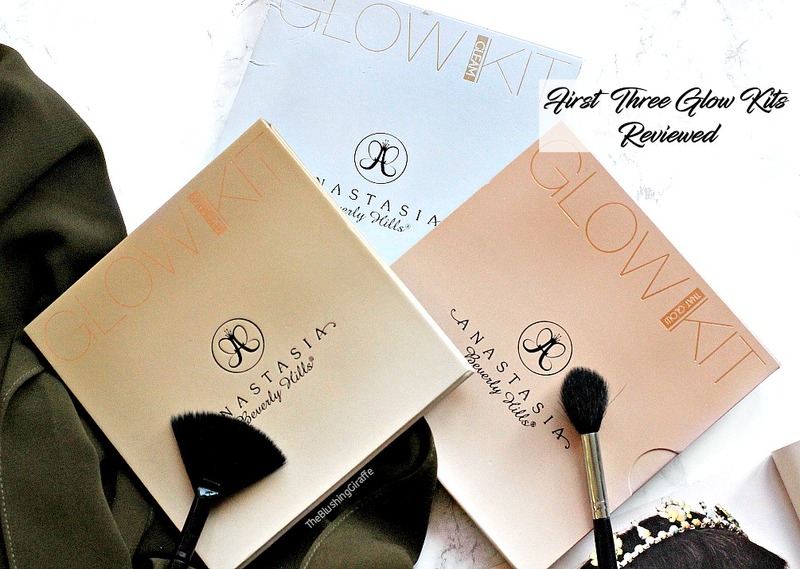 It is an incredibly versatile palette, the mattes which are super soft and pigmented, meaning you can create a sophisticated and pulled together look for work or school and the shimmer shades are just as pigmented and easy to blend. The whole brown and purple tone of the palette is perfect for me ^_^ You can do a day-time look, a slightly smoky look or a full on dramatic eye. Also the names of each shade are very punny ‘taupe for the best’, ‘out of this pearl’ and ‘paint the brown’ are a few of them, not that it makes a huge difference of course but it’s nice when brands make an effort. This set comes with a duo eyeshadow brush and it is such good quality, the bristles are super soft and the brush heads are large enough to distribute colour all over the lid quickly. On one end is a flat shader and the other is a tapered blending brush. I love the gold detail which again matches the palette detailing. All in all this is an absolute bargain of a set and I am totally smitten with it! I think it would make a wonderful gift for someone special, or for you cause y’know you should all treat yo'self once in a while. 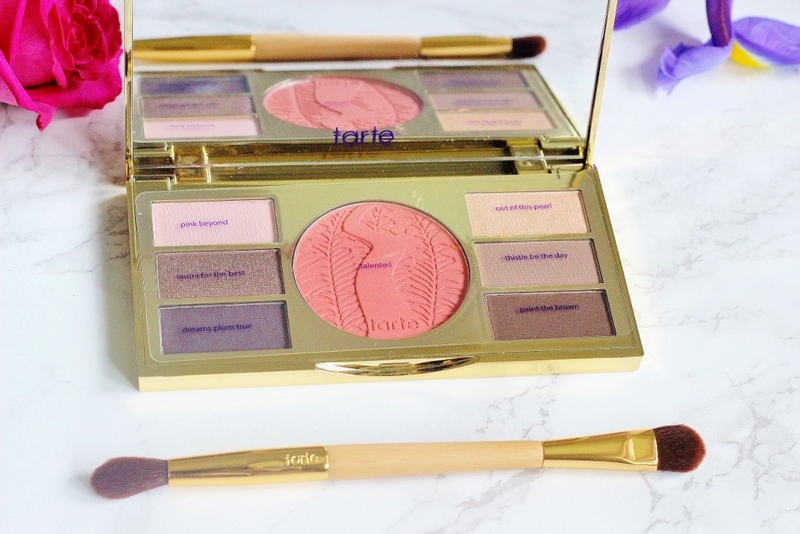 I cannot believe there is such an amazing range of Tarte products on QVC and I’ll be keeping an eye out on the site in the future. The only thing that I was a little disappointed about what that postage was over £3.00 and I’m sure most of you know how I feel about paying that much for P&P. BUT it was worth it! What have you tried from Tarte? Any Favourites?